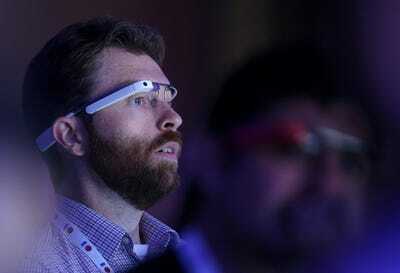 Justin Sullivan/Getty ImagesA man wearing Google Glass, an early project from Google X. For over half a decade, scientists, designers, and geniuses of all stripes have toiled away at Google X, the software giant’s secretive moonshot lab where world-changing ideas are put to the test. Now known as X, the lab has produced well-known projects like Google Glass, self-driving cars, and Project Loon (which aims to provide internet via a network of flying balloons) — as well as lesser-known projects like a user-safe jetpack, a robotic vertical farm, and an architecture software project called Flux. I recently spoke to the cofounder of Flux, which is now independent from Google, about what it was like at X in the early days. The startup makes design software for architects, and was one of the first three projects at X, alongside Google Glass and self-driving cars. When Flux launched in 2011, there were about 50 people total at X. Now there are over 700 or 800, according to Jen Carlile, Flux‘s cofounder. A few months after Flux launched at X, an article in the New York Times offhandedly mentioned that the moonshot lab was trying to build space elevators. “The big joke [in the office] was, ‘Don’t get in an elevator! '” she says. “Just X itself was pretty wild. Everybody there was a little bit mad scientist. Everyone was very curious and creative,” Carlile says. People at X moved around constantly; while Flux was there, they moved offices three times. Flux and the other moonshots eventually landed in a big one-floor open-plan building. It was so big that Astro Teller, X’s Captain of Moonshots, would wear roller blades because it was the easiest way to get around to talk to all the teams (and also because it was fun, obviously). Google was fairly hands-off, letting Flux work autonomously. While it’s no longer part of X, Flux is still partnering with Google on the Quartz Project, an open database of health and environmental impact data for building products. In spite of the large building and small number of people working inside it, there was a lot of serendipitous communication between teams in the early days of X. “You’d run into somebody, talk about what you’re working on, and there would be a lot of interesting discussion. It was a fun environment,” Carlile says.